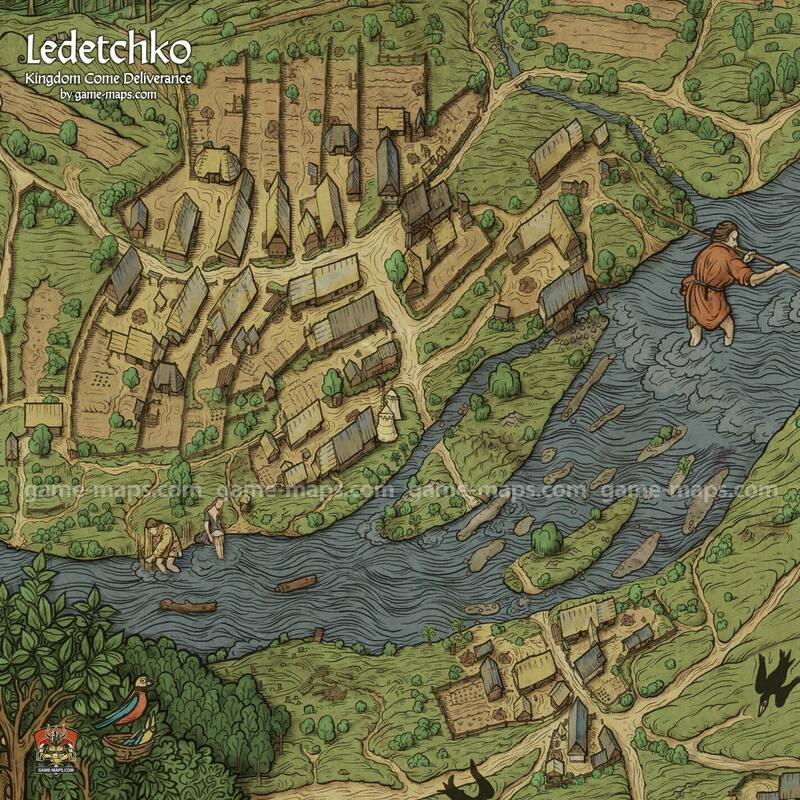 Map of Ledetchko in Kingdom Come Deliverance KCD Video Game. Ledetchko is a small village with a mill. During the 14th and 15th centuries the village belonged to Arnold (Arnošt) of Talmberg. The village originally had a second mill called Kuchelník.